Hooray cannabis is legal in Canada! You’re now considering growing your four plants, but where to start? Aside from gardening being a practical and stress-busting hobby, there are a number of reasons you might be considering growing your own cannabis. While the plant is aptly nicknamed ‘weed’, due to its propensity to grow wildly without the need for human intervention, it’s unlikely that the plants will one day magically sprout in your garden, but a girl can dream. The logistics of homegrown weed vary and holy hell is there a ton to consider. Here’s what you need to know before deciding on growing your cannabis indoors or outdoors. Seed selection is the very first choice you’ll need to make. We now have the luxury of legally purchasing seed strains that appeal not only to our consumption preferences but also to the climate in which it will grow. When it comes to indoor grows, you’ll have a wider selection of seed strains to choose from as it’s easier to manipulate the conditions to suit your plant's needs. When choosing outdoors seeds you’ll need to take into consideration the climate before making a selection. Choosing a strain native to a tropical climate is probably best avoided if you’re going to grow in cold, wet conditions. Outdoor grows come out tops in this department. In theory you could just sprinkle the seeds as if throwing confetti over some newlyweds, and bam, you’ve got weed growing rampant in your veggie patch. In practice, this method is not recommended, however, an outdoor grow is certainly much more a labour of love than it is a financial investment. You may want to invest in good quality soil, grow containers and some decent plant food. An indoor grow on the other hand can reach into the hundreds and even thousands of dollars, depending on the size and sophistication of your setup. And the setup is vital to the yield capacity of your plant. In fact, the strength of the light you use will directly impact the amount of flower your plant produces, alongside other factors. Think of light like food, the more you feed your plant the fatter and juicier it gets. Equipment needed varies on your grow space, at a minimum you will need a grow tent or grow room that is light proof, lights and a hanging kit, and a ventilation system. For outdoor growing you need to consider the climate, season, light exposure and security. Cannabis plants should be planted in spring and in well-drained soil with four to six hours of direct sun exposure per day. You’ll also want to hide it from view so that no other cannasures, or assholes, are tempted to steal your babies. Also germinating the seeds inside first will ensure baby plants won’t be eaten by garden dwellers like snails. Indoor growing can be just as particular though and space is important. You need to be able to simulate a natural outdoor environment, including things like day and night, optimal temperature and air flow. For the purposes of growing a few plants - legislation in Canada currently allows up to four plants - you don’t need to cordon off a whole room. A solid meter by metre area in the corner of any room could allow you to pop up $100 grow tent. A more aesthetically pleasing, albeit bank breaking option would be to invest in a grow box, stylish, practical, and automatic, perfect for aspiring green thumbs who just aren’t quite there yet. Growing your own cannabis is going to require a lot of nurturing no matter where you grow. I know a woman who sings to her plants every day and swears they grow better. 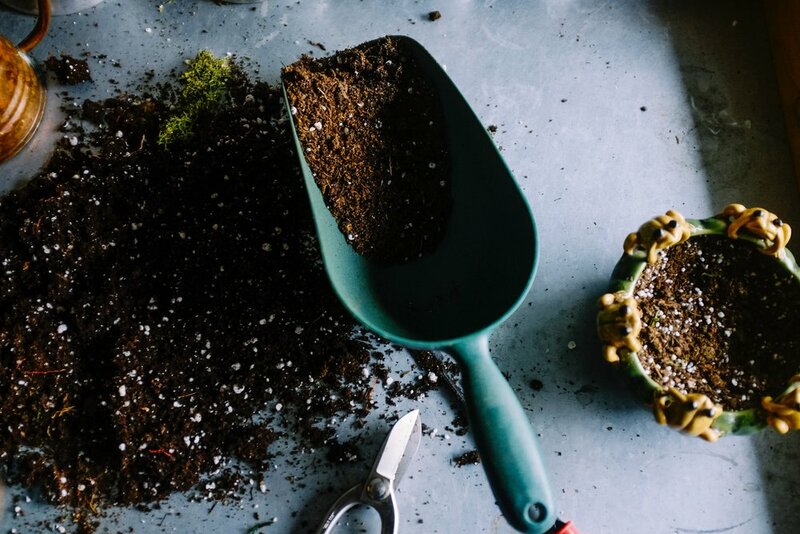 Either way, you should be prepared to adjust for harsh temperatures and humidity levels, ensure the soil is nutrient dense, and keep the plant safe from bugs and other nasties. However, if we had to rank it, considering the financial setup costs and the need to regulate the environment manually, a case can be made for outdoor growing being the easier of the two. For the most important element, and why we’re all really here, which of the two will give you the most sticky and stinky buds? Well now we’ve come full circle as the quality of the bud starts with genetics, ie. the quality of the seeds. Think of it like champion dog breeding, lineage matters. Getting your seeds from a reliable source will be the first predictor of whether or not your plant will produce first rate buds. In terms of quantity and size, the space your plants have to grow will determine how big they will get. Because of this, generally indoor plants are smaller than outdoor ones, but if your using pots, even an outdoor plant will only grow as big as it’s container allows. The main factors that will negatively affect the quality of your buds are poor lighting, nutrition or extreme temperatures. When it comes to top-notch buds, one thing to remember is that size is for show, how you feel on it is much more important, and sticky and stinky is key. If You Were A Terpene, Which Terpene Would You Be?